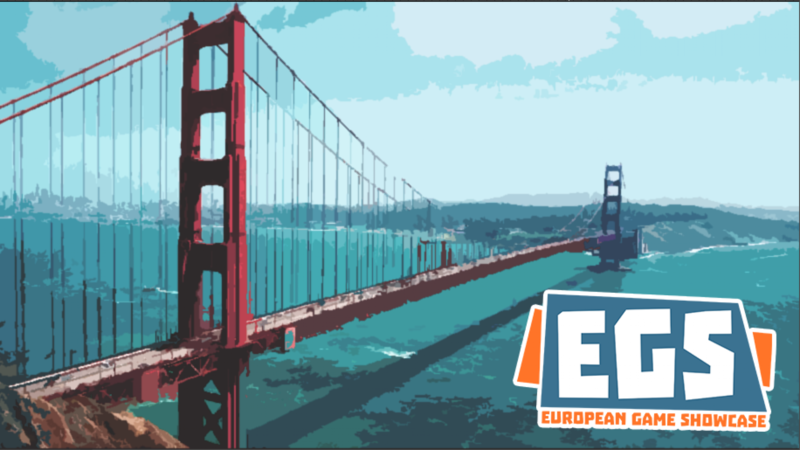 The European showcase will take place in an exclusive location in San Francisco where around 30 European developers will be able to show their latest creations to press, publishers and strategic partners in a relaxed and enjoyable way. The event takes place during GDC 2018 in San Francisco. The main organization team of the event is (in alphabetical order) Dajana Dimovska, Eva Gaspar, Tobias Kopka and Alessandra van Otterlo, and we also get support from various other people and organisations. If you are a member of the press, a publisher, platformholder or potential strategic partner and you want to receive an invite to the European Gameshowcase at GDC 2018, please fill out this form. The curation committees from the various countries selected these games (in alphabetical order). This dieselpunk airplane adventure has fisherwoman Amelia hunting the stratosphere’s legendary skywhale. Battle pirates, craft airplanes and explore a stunning, living world of colourful skylayers. Click here for the Presskit. Airships: Conquer the Skies is a Steampunk realtime strategy game. Build detailed 2D airships and fight with them against other players and aerial monsters. All I Have is Time is a 3D side-scrolling story driven adventure about time-travel, grief and the inevitability of death. Antigraviator is a sleek new take on the anti-gravity racing genre. Beat Saber is a VR rhythm game, where your goal is to slash the beats which perfectly fit into precisely handcrafted music. Cosmic Top Secret is documentary puzzle adventure where you help T find out what her dad did for the Danish intelligence during the cold war. Down the Well is an atmospheric tend-and-befriend adventure about finding purpose. Eye of the Temple lets you explore a treacherous temple in VR, dodging traps and solving puzzles with your torch and whip in hand. Fishing: Barents Sea is a beautiful open-world game about commercial fishing game set in northern-Norway. G30 is a multiple awards winning mobile puzzle game that recreates the process of memorizing in unique mix of telescopic text and graphical puzzle. Ganbatte is a social, family friendly competitive VR arcade game, about cats, in space, eating sushi. Fast-paced, local-multiplayer, arcade shooter. Revenge comes swiftly, so don’t gloat yet. On the couch or the road, Have a Blast with friends. Herald is a thrilling choice-driven adventure on the high seas, a visual-novel about finding your identity in a world divided by race, class and culture. Platforms: PC, We’re looking to publish to consoles in partnership with a publisher. A never-ending adrenaline packed shoot’em down rogue-lite that features environment destruction, never ending waves of enemies and procedural generated worlds. Jupiter Hell is a classic turn-based roguelike set in a 90’s flavored sci-fi universe, featuring tactical gameplay in procedurally generated environments. Lake Ridden is an atmospheric, story-driven mystery game. The game is a first-person puzzle set in a beautiful forest, by former Mojang and Paradox devs. Max and the book of chaos is and arcade 2D action game with elements of run and gun and shoot ´em up classic video games. Mish Mash is a turn based mobile game that brings people together for the creation of the world’s biggest surrealistic drawing. A procedurally generated action simulation game. Build space drones out of hundreds of different parts and explore a fully destructible galaxy. Nowhere Prophet is a single player card game: Build a loyal band of followers and survive the journey across a broken world. Barely. Pocket Quest is a colorful role-playing game where you manage a group of heroes to save their world from the evil black dragon. Seeds of Sol is an action adventure with roguelike elements. Explore the remnants of a shattered civilization, accompanied by an AI with multiple personalities. Shift Quantum is a cyber-noir action-puzzle platformer with a unique gameplay mechanic called SHIFTING. Lots of games promise that the choices you make while playing them matter. “Sonder.” is the only game that delivers on that promise. Space Cows is cheesy physics-based action puzzler in zero gravity. Wibble wobble through wreckage, save cows and fight aliens because The Milk Must Flow. Spitkiss is a trippy story of boundless love, told through precision platforming. You play as the couple Y27 and B4, sending messages of love. The golf game for people who hate golf. Balls are boring. Hitting stuff is fun. Yuppie Psycho is a horror game with a 90s retro aesthetic. It features anime-inspired cutscenes to immerse the player in an atypical horror story.